Every dealerships asks you to become a loyal customer. At Nimnicht Chevrolet, we actually reward you for your repeat business. When you become a part of the GM Preferred Owner Program, you gain access to generous perks and incentives that help to lower your overall cost of ownership. * Learn more about this exciting opportunity, and visit Nimnicht Chevrolet in Jacksonville to sign up. 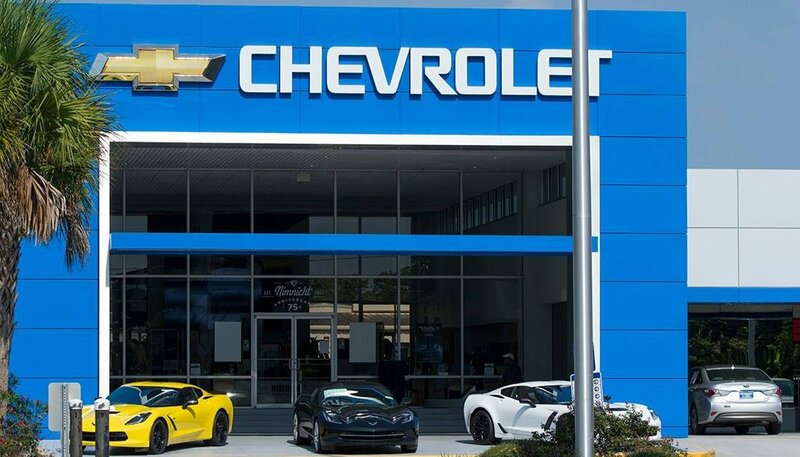 To become a part of the GM Preferred Owner Program, you simply need to purchase a new Chevrolet model. You are then automatically granted membership and given a Preferred Owner Card. Membership costs you nothing at any time, and you are free to use your card as much or as little as you would like. Every time you visit Nimnicht Chevrolet for something like an oil change, tire rotation, or repair job you earn points based on the type of service. You can then redeem these points to lower the cost of service or even to lower the cost of your next vehicle purchase. Basically, every time you rely on us as your dealership of choice, we offer you something in return. The perks of being a part of the GM Preferred Owner Program are not limited to our dealership. There are a number of businesses in Jacksonville, St. Augustine, and Orange Park that participate as well. Whenever you patronize these businesses, you earn points. Plus, some businesses offer discounts and deals to anyone with a card. It could not be easier to save. Thanks to our amazing inventory and generous financing offers, it’s easier than ever to participate in the GM Preferred Owner Program. Visit our dealership in Jacksonville, just a short drive from St. Augustine or Orange Park, and contact us with all of your questions. *Dealer participation may vary. See your Dealer for restrictions on eligible services. Rewards Points are nontransferable, have no independent monetary value and may not be otherwise redeemed for cash, merchandise, or any other benefit outside oft hose specified under the GM Preferred Owner Program. 2. Points cannot be redeemed for cash. 3. They cannot be combined with any other offer or coupon. 4. We reserve the right to change or cancel this program at any time.